Welcome to River Strand Golf & Country Club! We might be totally biased because we live in here too, but this is a fantastic place to call home or your second home! 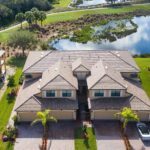 This luxurious gated golf and country club community located right next to the Manatee River and just a few minutes away from downtown Bradenton and the beaches of Manatee County offers the best of both worlds. 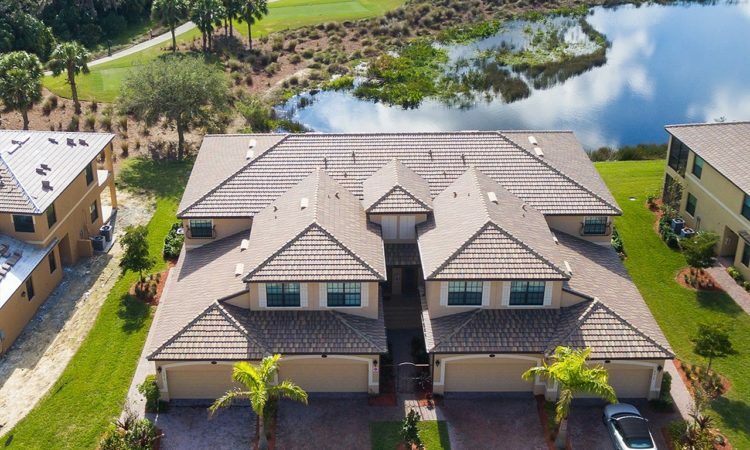 River Strand Golf & Country Club was developed by one of the leading home builders in the United States, Lennar Corporation, in the northernmost part of Heritage Harbor, a master-planned real estate development in East Manatee County, Bradenton, Florida. Just before entering the gated community, you will be welcomed by a majestic cascading rock waterfall and a 24-hour manned & secure gatehouse. Between the greens of the 18th and 27th holes of golf links, you’ll see the gorgeous 39,000 square foot clubhouse and resort-style pools. The 27-hole layout is the masterpiece of award-winning golf course architect, Arthur Hills. There are three layouts within this championship course feature top quality TifEagle grass at the greens and wide fairways lined with live oaks and native palm trees. Imagine waking up to the view of vast, relaxing greens or the serene Manatee River outside your bedroom window. They say your home should be your sanctuary. When you move to River Strand, your home and the entire community will be your sanctuary. Located just about a mile east of Interstate 75, River Strand homeowners have access to several locations, thanks to its strategic location. 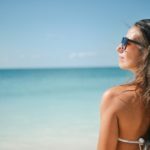 Downtown Bradenton, Lakewood Ranch, Sarasota, and St. Pete are just a few minutes away from this prime neighborhood, as well as airports, beaches, and major shopping centers, like the UTC mall. It’s a little piece of paradise conveniently set in the middle of everything. With these, golfers have the option to rotate play in the nines suitable to their skill and capability. An 18-hole regulation play in this golf course goes at par 72 over a yardage of 7,113 at the longest and 6,687 at its shortest. There are nearly 1,300 golf-deeded residences, which are all available for golf memberships, and 571 additional properties that come with a social membership. The floor areas for single-family residences range from 1,677 square feet to over 3,800 square feet, with both 2 and 3 car garage options available. The floor area for condos with two bedrooms range from 1,194 to 1,408 square feet. Considering its location, the community landscape, amenities, and the bundled golf option, you’ll find that the residential properties being offered at River Strand are very reasonably priced. We like to call it, affordable luxury, with prices of single-family homes ranging from high 200’s to 700’s, while condo prices start at high $100s for Terraces, the low $200s for Verandas, and the high $200s for Coach Homes. The prices for the coach and classic homes for sale in this luxurious gated community with floor areas between 1,861 to 2,193 square feet range from the low $200s to mid $200s. The price for the classic homes with floor areas between 1,861 to 3,283 square feet start from the high $200s. The price range for executive homes with floor areas between 1,677 to 3,357 square feet is the mid $200s to $400s. Estate homes with floor areas ranging between 2,394 to 3,695 square feet are sold at the high $500s. Safety is one of the most important factors to be considered when buying a house, so you will certainly find comfort in knowing that River Strand’s gated community provides a 24-hour security staff on site. 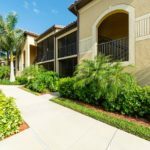 Aside from this, homeowners also enjoy professional lawn care and landscape maintenance services provided in this luxurious community. The lavish 39,000 square foot and clubhouse features formal as well as casual dining facilities, including a grille room, and a Tiki bar – perfect for spending time with family and friends. The Dining Room and Bar were just recently re-decorated and provide that Coastal updated look. You’ll love swimming and lounging in the resort style pool, and enjoy the wonderful Florida weather. The clubhouse also has a resistance pool & heated spa, a pool table, a large 24-hour fitness center, aerobics room, and locker rooms. For golfers, the Pro Shop offers the latest in golf technology and apparel, and its staff are certified teaching professionals, who are qualified to assist with your golf game. If you think that River Strand’s only selling point is its impressive golf courses, you obviously have not gone around the entire neighborhood. Aside from its lush greens and grandiose clubhouse, there are so many amenities all throughout the community. There’s the 9 Har-Tru clay tennis courts, 8 pickleball courts, and the Racquet Sports Pro Shop which offers tennis and pickleball products and services, such as racquet re-stringing and lessons. There are six satellite pools strategically located throughout the community. In the community center, you’ll find a second resort style pool with a heated spa, a 3,500-square foot health and fitness spa, and half-court basketball courts. Surely, River Strand offers more than a beautifully landscaped haven, but a neighborhood where you can fully enjoy your leisure hours with your friends and family. Residents can look forward to various social activities and events with live entertainment hosted by River Strand throughout the year. These include holiday parties, trivia nights, “Name That Tune” competitions, and pool parties. St. Patrick’s Day and Spring Fling Hawaiian Luau are calendared regularly at the clubhouse.